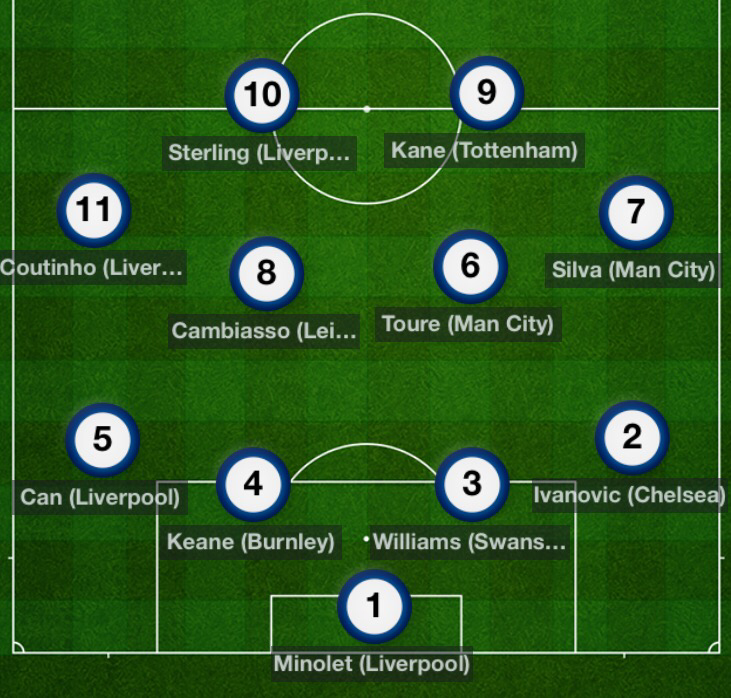 Here’s Russ with Team of the Week for game week 26 of The Premier League. So here’s my team if the week. Special mentions for Ivanovic who has probably been the leagues most consist defender for bloomin’ ages, and a goal to boot. Also, what a difference a Toure makes. Struggling City suddenly find 5 goals and a much needed win not long after the return of king Toure from the African cup of nations. A coincidence? I don’t think so. And, Harry Kane might just be the greatest English footballer since the last one we all got excited about. But good. And with goals to back it up.